Are you pregnant and worried sick about any development issues your baby may face? Do you want to keep diseases and infections at bay while you are expecting? Well, if you can relate to the above situations and desire to consume a natural health supplement, reading this post is a good idea. Pregnancy is a crucial time for both mother and child. Do you know Bee pollen has many health benefits due to their high nutritional value? It can cure various medical conditions like prostate problems, allergies, cholesterol, metabolism, and atherosclerosis. It also boosts energy and stamina. It can help prevent premature aging. But is bee pollen safe during pregnancy? Read on to know more! Most of the nutritionists have different views regarding herbal supplements like Bee pollen for pregnant and lactating women. There has been much debate regarding how safe Bee pollen is for the mother and her unborn child. While some women who took Bee pollen during pregnancy did not report any side effects, others experienced some discomfort. Bee pollen helps to purify the blood and aid the supply of oxygen to the brain cells. It reduces the risk of high blood pressure or hypertension in women throughout the pregnancy. 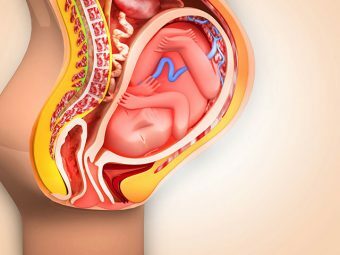 Hypertension can spell danger for both the mother and the baby in her womb. Bee pollen also reduces pregnancy blues like stress and fatigue. Bee pollen can help overcome development problems in the fetus. It boosts the development of the brain and nervous system of the fetus. One of the major benefits of consuming Bee pollen for pregnant women is that it keeps mineral and vitamin deficiencies at bay. Bee pollen is rich in vitamins, proteins, minerals and amino acids, which helps in the growth and development of the baby. The high levels of antioxidants in Bee pollen strengthen the mother’s immune system without affecting the development of the fetus. It protects pregnant women from cold, flu and other diseases. Some of the side effects of Bee pollen include allergic reactions, gastrointestinal problems, and neurological problems. Allergic reactions may manifest in the form of nausea, itching, breathlessness, and difficulty in swallowing. These side effects are mild and do not affect everyone. But if you experience any of these side effects, then stop consuming Bee pollen immediately and seek medical help. Women with a family history of allergies should avoid taking Bee pollen. You should avoid giving Bee pollen to children who are less than a year old as it can cause botulism, a dangerous paralytic illness. Although Bee pollen is a natural substance, you must consult your doctor before taking it. Your doctor will check your medical history to find out if you are prone to allergies. Expecting mothers can safely use cream and lotions that contain Bee pollen. While purchasing Bee pollen, make sure it is free of contaminations like metals, pesticides or herbicides. The presence of toxins and impurities may cause severe health problems in both the mother and baby. So purchase Bee pollen of high quality for maximum benefits. Bee pollen from New Zealand is the purest in the world because of the country’s pollution free environment. If you have tried Bee pollen during your pregnancy, please share your experience with us.